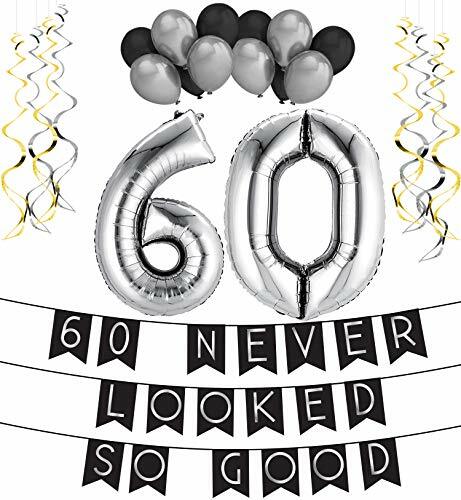 Raise a toast to his sense of style and sense of humor with this Vintage Dude 60th ensemble. 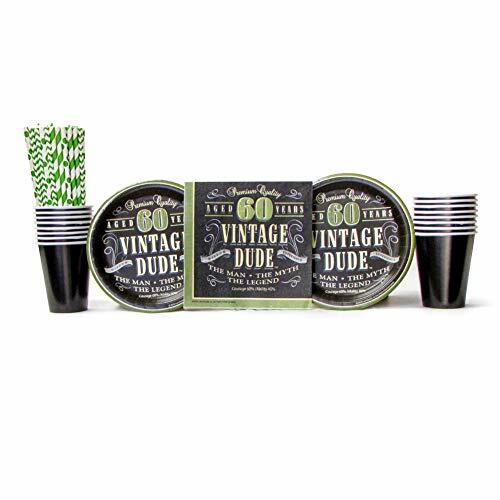 This Vintage Dude 60th Party Supplies Pack is perfect for Over the Hill parties. 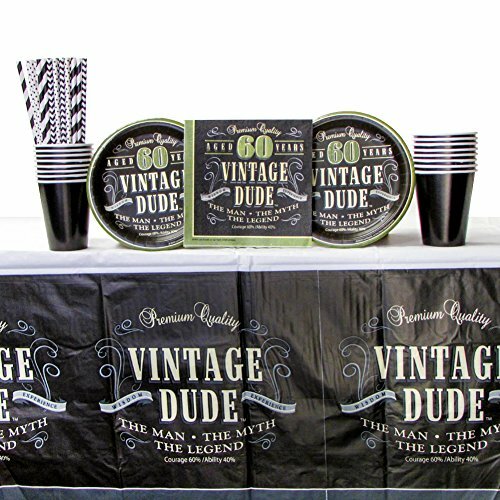 A man of impeccable taste deserves a superb birthday party with this old fashioned Vintage Dude 60th Birthday Party decor! This party set is easy to set up and easy to clean. Bundle includes 16 dessert plates, 16 luncheon napkins, 16 paper cups, and 24 Cedar Crate Market brand straws made of non-toxic, BPA free, and elemental chlorine free materials. Strong and durable for lasting fun and enjoyment! Straws made in the USA! Raise a toast to his sense of style and sense of humor with this Vintage Dude 60th ensemble. 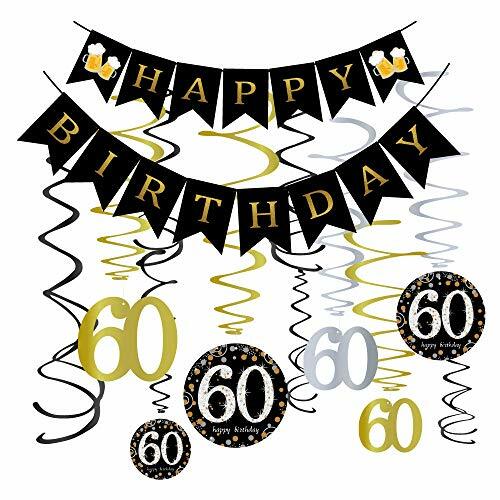 This Vintage Dude 60th Party Supplies Pack is perfect for Over the Hill parties. A man of impeccable taste deserves a superb birthday party with this old fashioned Vintage Dude 60th Birthday Party decor! This party set is easy to set up and easy to clean. Bundle includes 16 dessert plates, 16 luncheon napkins, 16 paper cups, 1 tablecover, and 24 Cedar Crate Market brand straws made of non-toxic, BPA free, and elemental chlorine free materials. Strong and durable for lasting fun and enjoyment! Straws made in the USA! ★Two Banners★ Color:Black and Gold Glitter words. We've already strung up the banner and hung it directly where we want to hang it. ★Swirl hanging★ 12pcs swirl hanging,you just hung it up. 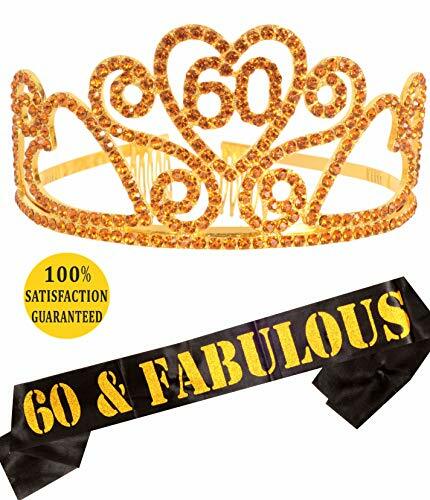 ⚠ Tip:Keep away from fire Celebrate 60 in glitz and glamour with our sparkling celebrations with 60 hanging vortexes and birthday confetti! 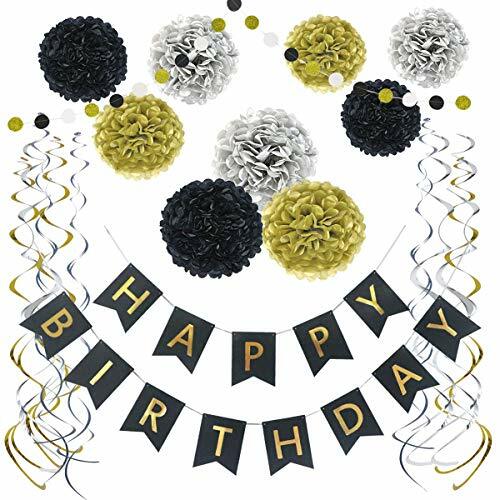 Each swirl is attached to the top with a plastic ring at the top.These birthday swirl are perfect for hanging on the ceiling or at the door, and immediately bring a fun mood to your party! 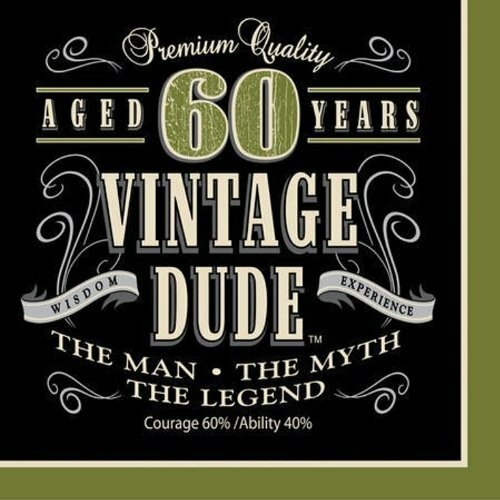 For his 60th birthday, raise a toast to his sense of style and sense of humor with our Vintage Dude ensemble. Designed lunch napkins are sized at 6.5" square when folded, are a 3-ply strength and durability for no mess clean up and come 48 napkins to a package. 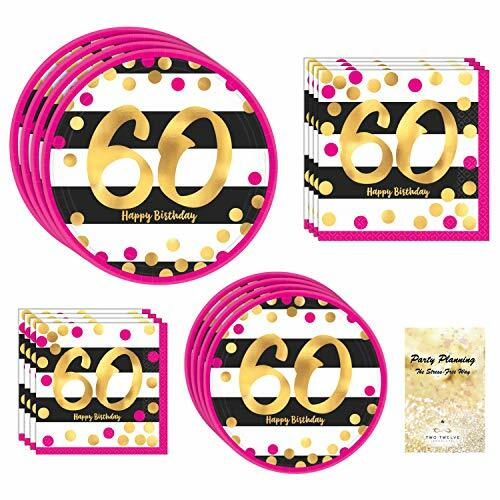 A perfect size for pieces of the party cake or to cover your lap, these napkins profess the guest of honor as "the man, the myth, the legend" and will make a big hit when he turns the big 6-O. Like a perfectly aged whiskey, he's mellow and smooth with a hint of rambunctiousness, always ready for a good time. Aged smoky brownish-gray background with charcoal gray border lends an antiqued appearance and adds a classy, old-fashioned looking touch to your special guest of honor's big day. Check out all the coordinating tableware and decor to this handsome collection from Creative Converting. From invitations to balloons to tablecloths, this ensemble has everything to make the celebration a one-of-a-kind event. This Paper Plate Bundle Includes enough tableware for 16 guests; 16 of each Dinner Plates, Dessert Plates, Beverage Napkins and Lunch Napkins. I GAVE MY MOM A SURPRISE 60TH BIRTHDAY PARTY!!! !